Fisnik is Associate Professor in Information Systems at the University of South-Eastern Norway. Previously, he has held postdoctoral fellowships at Linnaeus University in Sweden (2017-2018) and NTNU in Norway (2014-2016). 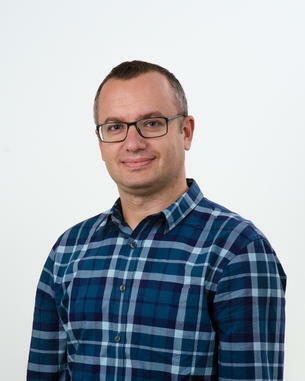 Before joining NTNU, he has worked as Assistant Professor at the informatics department of Tetovo University in Macedonia. He holds a PhD in Informatics from the University of Tirana (2013), a master degree in Business Information Management from the Free University of Brussels-VUB and Solvay Brussels School (2008), and a bachelor degree in Informatics from the University of St. Cyril and Methodius in Skopje (2004). His current research interest revolves around learning technologies, MOOC, information security, user experience and artificial intelligence. He has published several papers in important international conferences/journals and is serving on the program committee of many international conferences and workshops. IT, strategy and organizations (INF4000V). Salah Uddin Ahmed, Fisnik Dalipi, and Mexhid Ferati: Plugin: A Crowdsourcing Mobile App for Easy Discovery of Public Charging Outlets, 8th International Conference on Design, User Experience and Usability, July 26-31, 2019, Orlando, USA. Ali Shariq Imran, Fisnik Dalipi, and Zenun Kastrati, Predicting Student Dropout in a MOOC: An Evaluation of a Deep Neural Network Model, 5th ACM International Conference on Computing and Artificial Intelligence, April 19-22, 2019, Bali, Indonesia. Salah Uddin Ahmed, Stainar Aasnaæs, Fisnik Dalipi, Knut Hesten, Analytics-Driven Digital Platform for Regional Growth and Development: A Case Study from Norway, ICDS19 - 13th International Conference on Digital Society and eGovernments, February 24-28, 2019, Athens, Greece. Fisnik Dalipi, Ali Shariq Imran, Zenun Kastrati, MOOC Dropout Prediction Using Machine Learning Techniques: Review and Research Challenges, EDUCON2018 – IEEE Global Engineering Education Conference, April 17-20, 2018, Santa Cruz de Tenerife, Spain. Fisnik Dalipi, Mexhid Ferati, Arianit Kurti, Integrating MOOCs in Regular Higher Education: Challenges and Opportunities from a Scandinavian Perspective, 5th International Conference on Learning and Collaboration Technologies, Held as Part of HCI International 2018, July 15-20, 2018, Las Vegas, USA. Fisnik Dalipi, Florim Idrizi, Arianit Kurti, Exploring the Impact of Social Learning Networks in M-Learning: A Case Study in a University Environment, 4th International Conference on Learning and Collaboration Technologies, Held as Part of HCI International 2017, July 9-14, 2017, Vancouver, Canada. Fisnik Dalipi, Arianit Kurti, Katerina Zdravkova, Lule Ahmedi, Rethinking the Conventional Learning Paradigm towards MOOC Based Flipped Classroom Learning, 16th IEEE International Conference on Information Technology Based Higher Education and Training (ITHET), July 10-12, 2017, Ohrid, Macedonia. Florim Idrizi, Avni Rustemi, Fisnik Dalipi, A New Modified Sorting Algorithm: A Comparison with the State of the Art, 6th IEEE Mediterranean Conference on Embedded Computing (MECO2017), June 11-15, 2017, Bar, Montenegro. Arianit Kurti, Fisnik Dalipi, Bridging the Gap between Academia and Industry: Lessons Learned from a Graduate IT Professional Development Program, 2nd International Conference on Engineering Education & Teaching, June 5-8 2017, Athens, Greece. Sule Y. Yayilgan, Yang Du, Fisnik Dalipi, Jonas C. Jeppesen, A New Ski Injury Registration System Architecture using Mobile Apps to Enhance Skiing Safety, International Journal of Interactive Mobile Technologies (iJIM), 10(4), 2016. Fisnik Dalipi, Sule Yildirim Yayilgan, Alemayehu Gebremedhin, Data-driven Machine Learning Model in District Heating System for Heat Load Prediction, Journal of Applied Computational Intelligence and Soft Computing 06/2016; 2016(10). Fisnik Dalipi, Sule Yildirim Yayilgan, Security and Privacy Considerations for IoT Application on Smart Grids: Survey and Research Challenges. 4th IEEE International Conference on Future Internet of Things and Cloud Workshops (FiCloudW2016), August 22-24, 2016, Vienna, Austria. Fisnik Dalipi, Mexhid Ferati, Sule Yildirim Yayilgan, User Interface Evaluation of a Ski Injuries Management System. 2nd International Conference on Advances in Human Factors in Sports and Outdoor Recreation as part of International Conference in Applied Human Factors and Ergonomics (AHFE2016), July 27-31 2016, Orlando, FL, USA. Advances in Intelligent Systems and Computing 496, Springer. Fisnik Dalipi, Ali Shariq Imran, Florim Idrizi, Hesat Aliu, An Analysis of Learner Experience with MOOCs in Mobile and Desktop Learning Environment. International Conference in Applied Human Factors and Ergonomics (AHFE2016), July 27- 31, 2016, Orlando, FL, USA. Advances in Intelligent Systems and Computing 498, Springer. Sule Yildirim Yayilgan, Yang Du, Fisnik Dalipi, Jonas C. Jeppesen, A Novel System Architecture for Efficient Management of Skiing Injuries. The 9th IEEE International Conference on Interactive Mobile Communication, Technologies and Learning (IMCL2015), November 19-20, 2015, Thessaloniki, Greece. Krenare Pireva, Ali Shariq Imran, Fisnik Dalipi, User behaviour analysis on LMS and MOOC. International IEEE Conference on e-Learning, e-Management and e-Services (IC3e), August 24-26, 2015, Melaka, Malaysia. Fisnik Dalipi, Sule Yildirim Yayilgan, Alemayehu Gebremedhin, A Cloud Computing Framework for Smarter District Heating Systems. UFirst 2015: The 7th IEEE International Symposium on UbiCom Frontiers - Innovative Research, Systems and Technologies (UFirst2015), August 10-14, 2015, Beijing, China. Fisnik Dalipi, Sule Yildirim Yayilgan, Zenun Kastrati, Enhancing the Learner’s Performance Analysis using SMEUS E-learning System and Business Intelligence Technologies. 2nd International Conference on Learning and Collaboration Technologies as part of HCI International 2015, Aug 2-7 2015 Los Angeles, CA, USA. Lecture Notes in Computer Science 9192. Zenun Kastrati, Ali Shariq Imran, Sule Yildirim Yayilgan, Fisnik Dalipi, Analysis of Online Social Networks Posts to Investigate Suspects Using SEMCON (Best paper award), 7th International Conference on Social Computing and Social Media as part of HCI International 2015, Aug 2-7 2015, Los Angeles, CA, USA. Lecture Notes in Computer Science 9182. Fisnik Dalipi, Sule Yildirim Yayilgan, The Impact of Environmental Factors to Skiing Injuries: Bayesian Regularization Neural Network Model for Predicting Skiing Injuries. 6th IEEE International Conference on Computing Communications and Networking Technologies (ICCCNT2015), July 13-15, 2015, Denton-Dallas, USA. Sule Yildirim Yayilgan, Aurilla A. Arntzen, Gry Helene Stavseng, Milena Ljubicic, Bjorn Solvang, Richard Meadow, Fisnik Dalipi, Knowledge, Technology and Innovation (KTI): Opportunities, Issues and Challenges of KTI transfer between Norway and the Balkans countries. 14th IEEE International Conference on Information Technology Based Higher Education and Training (ITHET2015), June 11-13, 2015, Lisbon, Portugal. Fisnik Dalipi, Diana Marina Armijo Mendoza, Ali Shariq Imran, Sule Yildirim Yayilgan, An Intelligent Model for Predicting the Occurrence of Skiing Injuries. 5th IEEE National Symposium on Information Technology: Towards New Smart World – Wireless Systems and Networks (NSITNSW), February 17-19, 2015, Riyadh, Saudi Arabia. Fisnik Dalipi, Sule Yildirim-Yayilgan, Alemayehu Gebremedhin, A Machine Learning Approach to Increase Energy Efficiency in District Heating Systems. International Conference on Environment Engineering and Computer Application (ICEECA2014), December 25-26, 2014, Hong Kong. Fisnik Dalipi, Florim Idrizi, Eip Rufati, Florin Asani, On Integration of Ontologies into E-learning Systems. 6th IEEE International Conference on Computational Intelligence, Communication Systems and Networks (CICSyN2014), May 27-29, 2014, Tetovo, Macedonia. Fisnik Dalipi, Ilia Ninka, Ajri Shej, Applying semantically adapted vector space model to enhance information retrieval. International Conference, ICT Innovations 2012, Web Proceedings – Poster Session ISSN 1857-7288 (2012), September 13-14, 2012, Ohrid, Macedonia. Florim Idrizi, Fisnik Dalipi, and Ilia Ninka. E-business opportunities and challenges for SME's in Macedonia, ICT Innovations 2012, Web Proceedings ISSN 1857-7288 (2012): 517, September 13-14, 2012, Ohrid, Macedonia. Agni Dika, Kushtrim Bilali, Fisnik Dalipi, Implementing and using new e-testing system to increase the effectiveness of learning in primary schools of Macedonia. IEEE International Conference on Education & E-Learning Innovations (ICEELI2012), July 1-3, 2012, Sousse, Tunisia. Fisnik Dalipi, Florim Idrizi, Lazim Kamberi, Determinants of e-business and ICT adoption among SMEs in Macedonia – An application of TOE Framework. 1st International Symposium on Computing in Informatics and Mathematics, June 2-4, 2011, Tirana, Albania.